Tekoma Boutik Hotel is located at Anse Ally, in the southeastern part and on one of the most gorgeous beaches of the island with amazing views over the blue lagoon. The hotel offers an inviting and an unmatching level of comfort so as to experience "The Art of Bare Foot Luxury". Each room, designed as an individual unit, is equipped with a king size bed facing a large window overlooking the bay, with a couch, a mini bar, a safe and a 32' flat screen. The view on the surrounding natural elements is exceptional. All furniture are crafted from solid teak wood. For more information about Tekoma Boutik Hotel travel package or booking, send us a private message on our Facebook page. Click here >>, or use the Contact Form. The restaurant extends to a large sheltered terrace in the middle of a beautiful courtyard garden. A special daily menu is available, and themed evenings offer a variety of culinary meals. 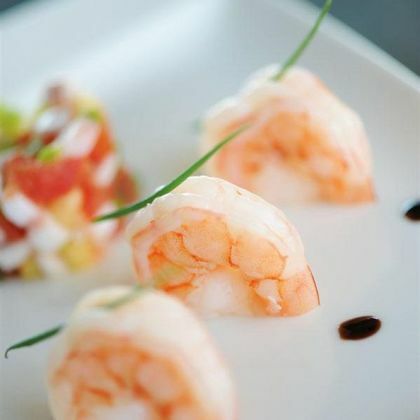 Tek Tropical Dining offers a choice of both traditional local dishes and a variety of international ones. Ingredients are procured form local farms and fishermen.The restaurant is an ideal place for those who want to enjoy local flavours. At The Kreek Beach Club you can enjoy refreshing drink: fruit juices,cocktails, wine and spirits are served, with snacks, until dusk. A diving center to explore Rodrigues' underwater world is opened to beginners and experienced alike. Perfect time for diving: October through May. The Wellness Centre is operated by Seven Colours Brand and each customer benefits from a tailor made experience ranging from massage therapies, face care and beauty and spa treatments. The Centre and a relaxation terrace overlooking the splendid azure sea welcomes both couples and individuals. SPECIAL OFFERS: one night or two nights offered (conditions applicable). SPECIAL air ticket promotional price for Mauritians and residents on applicable conditions. 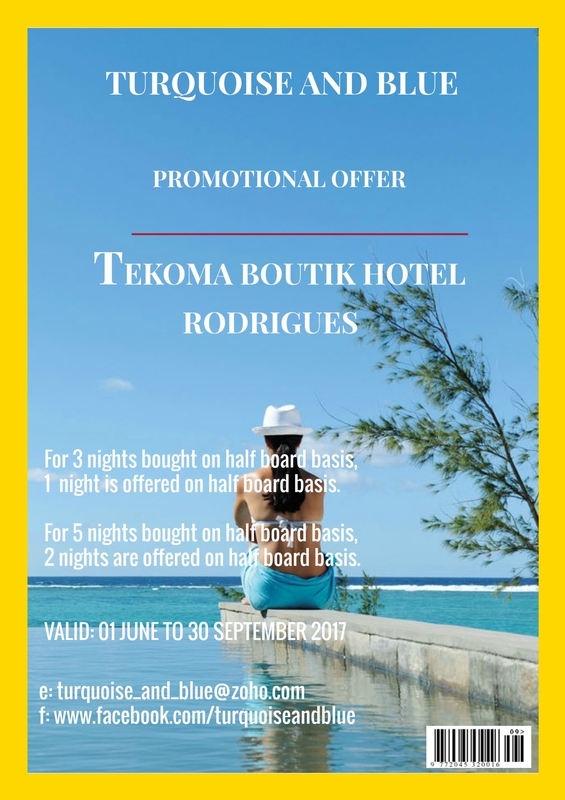 Tekoma Hotel is located 30 minutes from Rodrigues Island Airport, and 15 minutes from Port Mathurin, the Capital City.